What Makes You Better Than Others to Critique 'Embraced by the Light'? What makes Russ Wise or Probe Ministries greater than anybody else to say this is heresy or false teachings of God in his analysis of Embraced by the Light? What makes you better than anybody else? If you are really intelligent then you can analyze everything down to the “perfection of God.” There is no way man can really understand the “Divinity of God.” Our mere words cannot even explain or at least understand it. I think Russ Wise should keep his opinions to himself and not say his words are better than any other. I wonder what kind of belief or religion Russ has? He must be in a perfect religion. I noticed that something seems to be missing from your complaint about Russ Wise and Probe Ministries: God’s perspective. It seems that you are unhappy with Russ’ analysis of Embraced by the Light as if it were nothing but human opinion. 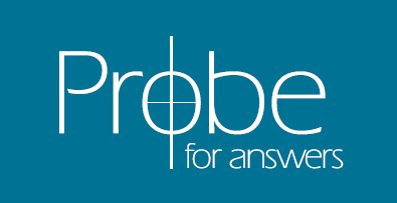 But both Russ and Probe Ministries analyze ideas from a perspective based on what God has told us in His word. In the same way that we can tell how crooked a stick is by placing it next to one that is absolutely straight, we can tell how incorrect the ideas in a book are by comparing them to the straight truth of God’s word. It has nothing to do with believing that we are better than anyone else. We know better. We know it’s not about us at all. It’s about having confidence that God really has revealed His truth to us in the Bible, so we can confidently analyze anything that contradicts His word. This confidence can be erroneously confused with arrogance, but it’s not arrogance because we are simply agreeing with what God has said. Like I said before, we know it’s not about us. I respectfully must disagree with you that “There is no way man can really understand the ‘Divinity of God.’ Our mere words cannot even explain or at least understand it.” If mankind had no choice but to try and figure out God on our own, you would be absolutely right. But the message of the Bible and the even more stunning message of Jesus Christ, the God-man who left heaven to come to earth, is that we don’t have to speculate about God. He has reached out to us. He has spoken truth to us. He has revealed Himself to us. He passionately wants to be known and loved (even if we can’t fully understand Him because He is so other, so much more than us), and He has made Himself knowable by speaking to us in His word and in His Son. And it is on the basis of that revelation that we can compare works like Embraced by the Light to what God has said, and identify where they are wrong because they contradict God. Not our mere human understanding of Godthey contradict what God Himself said. "What About All the Violence and Conquering in the Name of the Christian God? ""How Does This Angel Thing Work?"